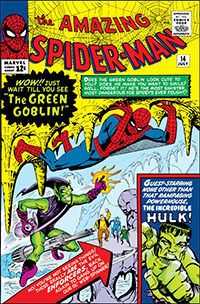 The Main story featuring the newly formed Sinister Six made up the first 41 pages of this now classic Amazing Spider-Man Annual #1. 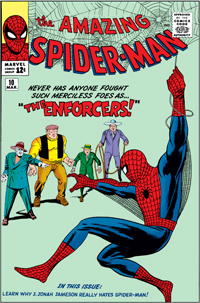 But what an amazing 41 pages it was, featuring the teaming up, and defeat of Six spider-Man villains, Fifteen cameo appearances by other marvel Super Hero’s, and included scenes with no less than six major supporting cast members for spider-man. It’s amazing a story so large could fit in so few pages, and include so much without being overwhelming. In fact, it almost felt overwhelming by the end! 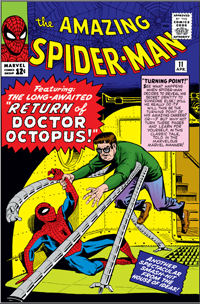 for this comic book review, I read Amazing Spider-Man #11, and the tale within titled “Turning Point” and featuring the return of Dr. Octopus! but nothing I told you so far is more exciting then what the large block of text on the cover says. 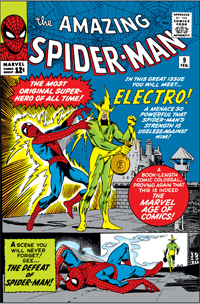 The big point of the issue, is Spider-Man or perhaps his alter ego Peter Parker deciding to share his secret identity with someone, but who? 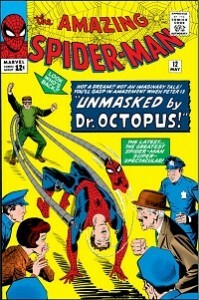 you will have to read this classic issue to see.